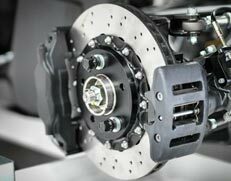 When it comes to brakes and clutches, the frequency at which you brake and the way you drive will have a huge impact on their lifespan. If you are able to identify any impending brake & clutch problem in your vehicle, you must get these components inspected and repaired by well-trained professionals. Here at Bob Watson Service Centre, we have Certified Mechanics who can provide you with quality clutch & brake repairs at a fair price. We work on all makes & models, ensuring your safety on the road. Regardless of the type of braking system you have or the issue you deal with, we have the expertise, experience, and equipment to get the job done right. We understand the brake failure is a very serious problem that can put your life at risk. That’s why we recommend having your brakes inspected every 10,000 miles or if you experience any of the following signs. If your vehicle shows any of the above-mentioned signs, bring your vehicle to Bob Watson Service centre and let our experts provide you with a quick evaluation and service to ensure that the problem is eliminated before it becomes a major issue. Like so many other parts of a vehicle, clutches wear out over time. The rate at which clutch wears depends on various factors, including road conditions, weather conditions, landscape and your personal driving style. Here are a few signs that indicate that you have a clutch problem. Problems with your clutch system can affect the overall performance of your vehicle. Our experienced mechanics can diagnose and fix any clutch problem, getting your vehicle back to top working order. For clutch & brake problem or any car service & repairs feel free to call Bob Watson Service Centre at 03 9882 2451 for a quick solution.